Global pressure is on the rise to embrace sustainable energy sources which are also convenient in terms of economic considerations. With many industries coming up and increased need of energy supply thereof, more inventions into power production are introduced. Many energy sources are available across the world and wind energy has, in the contemporary days, gained popularity. Wind energy production dates back to 1970’s upon development of wind turbines by NASA. These were to be used for the purpose of power production. It has emerged that wind power generation has many advantages compared to a number of other power generation means (Janardhan & Fesmire, 2011 pg 1 p 2). 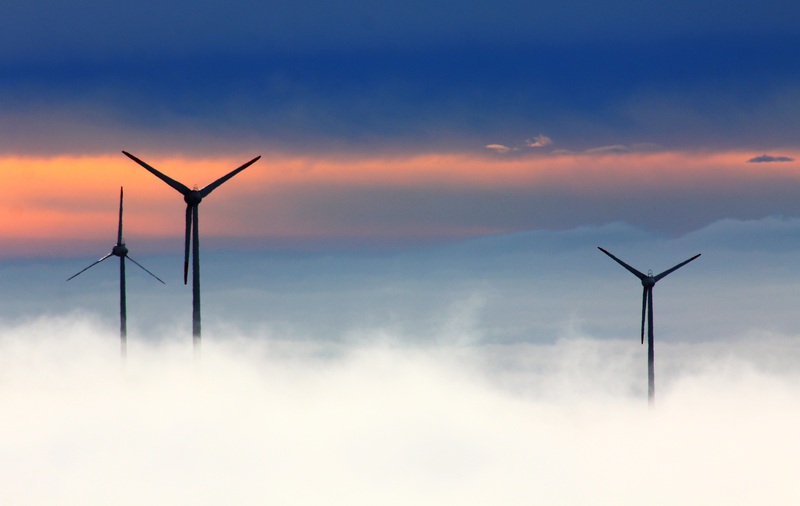 Wind energy is an important source of non-conventional energy which is economical, pollution free, environmentally-friendly, and socially advantageous. As oil and electricity prices continue rising steadily, many people are looking for strategies, they can use to reduce their energy bills. 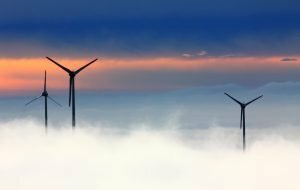 Wind energy has proven one of the best substitutes that can help homeowners and industrialists reduce the amount of energy they consume on daily basis. An individual can achieve this goal through mounting wind turbines such as windmills mounted on high grounds to capture maximum amount of energy. A wind turbine should be at least 100 feet tall in order to benefit from faster and modestly turbulent wind. Wind turbines are composed of large propeller-like blades that are mainly three in number. When wind blows, the propeller-like blades rotate a rotor shaft that in turn helps in generating electricity. An individual can establish a wind farm in a small farm in a remote place for there is no need as it requires neither fuel nor water. In addition, wind farms are suitable in places close to large cities since they are pollution free. This essay explores evidence to support that wind energy offers a reliable and sustainable source of energy (Janardhan & Fesmire, 2011 pg 2 p 4). This paper seeks to understand and illustrate some of the advantages which come with power generation through wind harnessing. The advantages and benefits have a wide range and cut across many aspects of sustainable energy production or generation. This is with regard to many benefits related to wind power generation as compared with other power sources. According to the current situation in the Energy sector it is clear to observe that the great transformation from using fossil fuels to non-exhaustible sources of energy is in progress. As the fossil oil insecurity deteriorates, fuel prices escalate, and awareness regarding pollution and climate imbalance dim the future of coal, the need for another source of reliable energy is indispensable. The new sources of energy include geothermal, wind and solar. The inexhaustible energy sources are immense and obtainable via innovative schemes. The present civilization demands embracing clean energy on an extent and pace that had not been experienced previously. Wind energy is economical in varied ways which make it convenient and non-conventional (U.S Energy Information Administration, 2013 p 1). In production terms, wind energy utilizes turbines which can be planted on farms. This is beneficial in economic terms especially in rural areas. Other activities can continue wherever these turbines are built since the butrbines use only a portion of the land. To farm owners, it is a means of sourcing income by renting their lands for the purpose of wind turbines. Its economic benefits are also evident in that wind is a free component which also serves as the key source of wind power therefore no expense is incurred. Wind is also a renewable energy source and cannot run out due to its availability (Provey, 2008 pg 29 p 2). Pricing of wind power is stable and cheap. This is attributed to the fact that it is tapped from a free source and always available. Once turbines are planted on the ground to harness wind power, no more costs are needed therefore making its pricing so stable. This also explains why wind energy is cheap since pricing is largely influenced by cost of production (Provey, 2008 pg 29 p 3). This pricing issue has been a menace of the past decades where coal and other expensive energy were in use. Coal and fuel were the main energy sources in 19th and 20th century respectively. Nonetheless, the energy sources have become too expensive and environmental unfriendly to the extent that people have resolved to search for alternative sources of energy. A few decades ago, wind turbines were mainly associated with the European countries, especially Germany that had effectively utilized the source of energy (Conserve Energy Future, 2013 p 13). For situations when you don’t know how to write your paper, we recommend to use our science research paper. Using our samples is a good way to deal with your own writing. If you still conclude that you can’t write your paper, us help from BuyEssay.org. Imagine like there is a professional writer who can’t complete your writing assignment for you. We have a big team of such writers. See how quickly our writer can write a paper for you. If you want to become successful in academic writing, our writing service is what you need. Place an order now and move on to stuff you want to do.